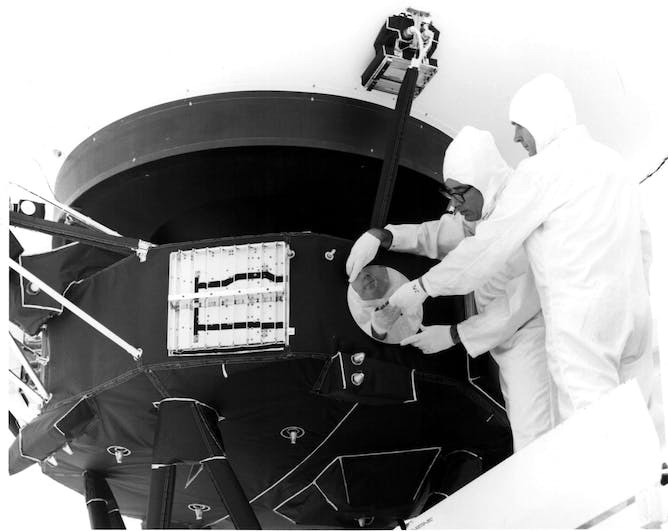 Forty years ago, NASA launched Voyager I and II to explore the outer solar system. The twin spacecraft both visited Jupiter and Saturn; from there Voyager I explored the hazy moon Titan, while Voyager II became the first (and, to date, only) probe to explore Uranus and Neptune. Since they move too quickly and have too little propellant to stop themselves, both spacecraft are now on what NASA calls their Interstellar Mission, exploring the space between the stars as they head out into the galaxy. 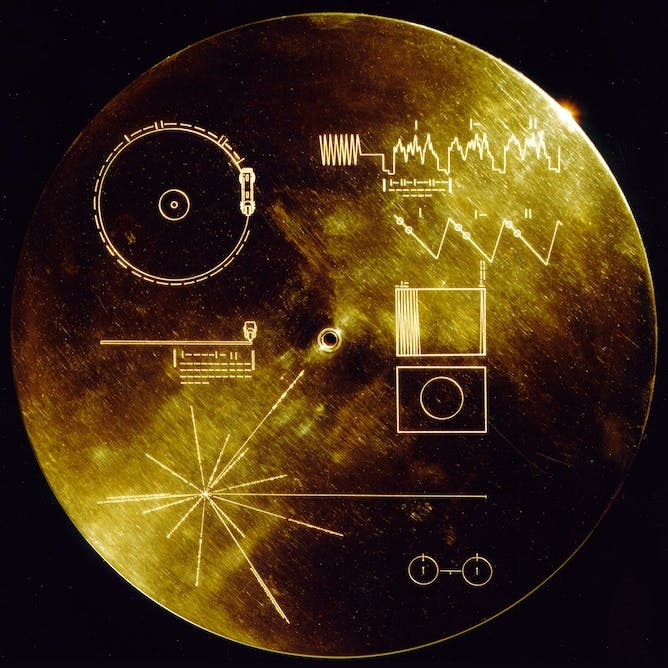 Both craft carry Golden Records: 12-inch phonographic gold-plated copper records, along with needles and cartridges, all designed to last indefinitely in interstellar space. Inscribed on the records’ covers are instructions for their use and a sort of “map” designed to describe the Earth’s location in the galaxy in a way that extraterrestrials might understand. The grooves of the records record both ordinary audio and 115 encoded images. A team led by astronomer Carl Sagan selected the contents, chosen to embody a message representative of all of humanity. They settled on elements such as audio greetings in 55 languages, the brain waves of “a young woman in love” (actually the project’s creative director Ann Druyan, days after falling in love with Carl Sagan), a wide-ranging selection of musical excerpts from Blind Willie Johnson to honkyoku, technical drawings and images of people from around the world, including Saan Hunters, city traffic and a nursing mother and child. Since we still have not detected any alien life, we cannot know to what degree the records would be properly interpreted. Researchers still debate what forms such messages should take. For instance, should they include a star map identifying Earth? Should we focus on ourselves, or all life on Earth? Should we present ourselves as we are, or as comics artist Jack Kirby would have had it, as “the exuberant, self-confident super visions with which we’ve clothed ourselves since time immemorial”? But the records serve a broader purpose than spreading the word that we’re here on our blue marble. After all, given the vast distances between the stars, it’s not realistic to expect an answer to these messages within many human lifetimes. So why send them and does their content even matter? 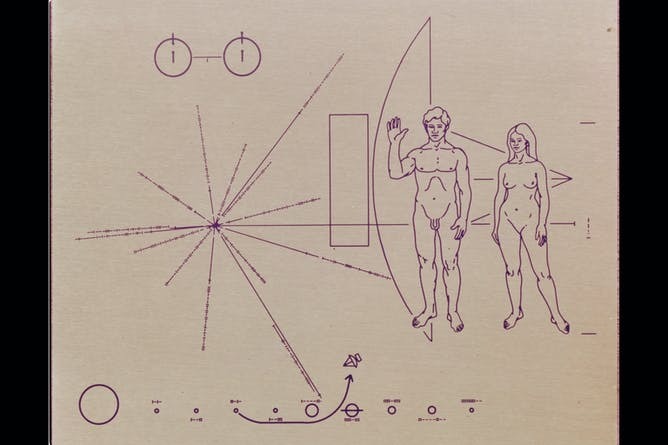 Referring to earlier, similar efforts with the Pioneer spacecraft, Carl Sagan wrote, “the greater significance of the Pioneer 10 plaque is not as a message to out there; it is as a message to back here.” The real audience of these kinds of messages is not ET, but humanity. In this light, 40 years’ hindsight shows the experiment to be quite a success, as they continue to inspire research and reflection. Only two years after the launch of these messages to the stars, “Star Trek: The Motion Picture” imagined the success of similar efforts by (the fictional) Voyager VI. Since then, there have been Ph.D. theses written on the records’ content, investigations into the identity of the person heard laughing and successful crowdfunded efforts to reissue the records themselves for home playback. The records also represent humanity’s deliberate effort to put artifacts among the stars. Unlike everything on Earth, which is subject to erosion and all but inevitable destruction (from the sun’s eventual demise, if nothing else), the Golden Records are essentially eternal, a permanent time capsule of humanity. 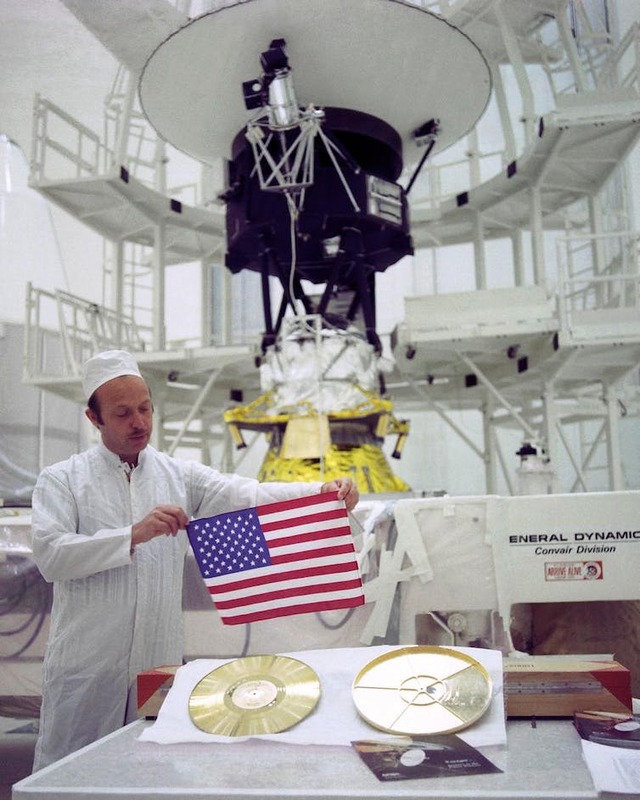 And unlike the Voyager spacecraft themselves – which were designed to have finite lifespans and whose journey into interstellar space was incidental to their primary function of exploring the outer planets – the Golden Records’ only purpose is to serve as ambassadors of humanity to the stars. I would argue we have, and we are a better species for it. Like the Pioneer plaques and the Arecibo Message before them, the Golden Records inspire us to broaden our minds about what it means to be human; what we value as humans; and about our place and role in the cosmos by having us imagine what we might, or might not, have in common with any alien species our Voyagers eventually encounter on their very long journeys.